(NaturalNews) Farmers in the U.S. are beginning to wake-up to the fact that genetically modified crops are poor business indeed. 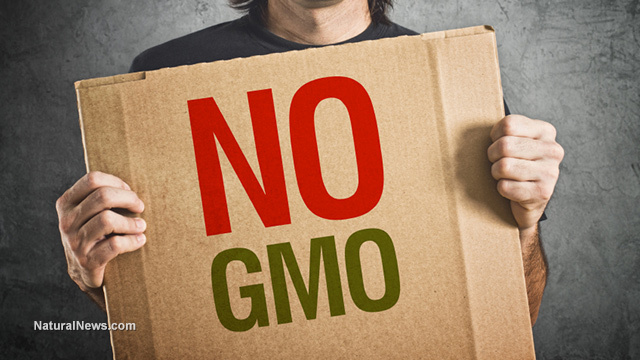 With countries around the world taking a firm stand against GM imports, not only are farmers who grow GMOs suffering from dwindling export opportunities, but also those whose crops have been cross-contaminated with genetically modified pollen. A striking example is when China took a tough stance in November 2013 and declared an import ban on U.S. corn following the detection of genetically modified Bt protein (MIR162). According to industry economic studies, this little mishap cost upwards of $4 billion in revenue losses for U.S. corn and soybean industries. As of August 2014, the Biosafety Committee also revoked the permits for GM rice and corn that were being developed in China. This last part is largely attributed to mounting public outcry about the safety of GMOs. "The direction of this is anything that stops, and puts the genie back in the bottle called genetic manipulation of plants and organisms is to the good for the future of the mankind. The comment about 20 percent of harvest increase in some GMOs is absolute rubbish. There is no long-term harvest gain that has been proven for GMO crops anywhere in the world because they are not modified to get harvest increases. So this is just soap bubbles that Monsanto, Syngenta and GMO giants are putting out to loll the public into thinking it is something good." At the Beijing food conference held earlier this year, the focus was on protecting human survival. Not surprisingly, genetically modified food was looked upon with a wary eye by both the public and Chinese agricultural officials. Bob Streit, an Iowa crop consultant, presented an agronomic overview of GMO corn and soybean production issues in the Midwest -- including early die down, resistant weeds and disease vulnerability. "Streit expects that the number of nations willing to import GMO grains, or grow them at home, will continue shrinking as more facts about GMO-linked human and animal health pathologies are documented. About 50 nations curb growth or imports of GMOs. The remaining big overseas market for the U.S. is China -- precisely the location of this conference," reports RenewableFarming.com. Streit also believes that, as more nations resist GMO imports, the price of genetically modified corn and soybeans will fall, while the price of conventional, non-GMO crops will rise. He predicts the price per bushel for non-GMO corn will increase to $1.50, with soybeans climbing to $3.50. The lower seed cost for conventional corn and soybeans, compared to their GMO counterparts, will widen profit margins as well. "The intensity and unity of the 350 participants in the Beijing conference presents a strong signal that leading scientists, human health experts and a wide range of global consumers will soon overpower U.S. corporate and government defense of genetically engineered crops. That happened in Europe -- and BASF discontinued its GMO research and marketing efforts there," notes RenewableFarming.com. You can read the full text of the "Beijing Declaration" here.